HÄFELE’s new Neptune III slim shower system is 1.5mm thick, and can be installed in existing and new bathrooms. Its three spray patterns – rain, mist, cascade – offer a seamless showering experience by mixing water with air to produce a soft refreshing spray. 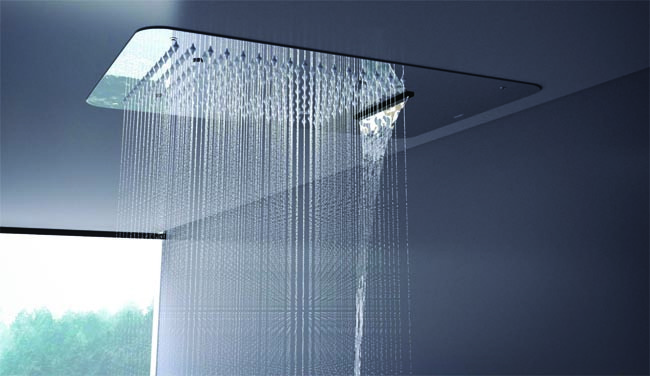 Measuring 480x330mm, the shower is made of chrome-plated SS and weighs 3.45 kg. It is supplied with flexible hose for connection, and works well in pressure range of 0.5-5.0 Bar. It is listed at `49,000.